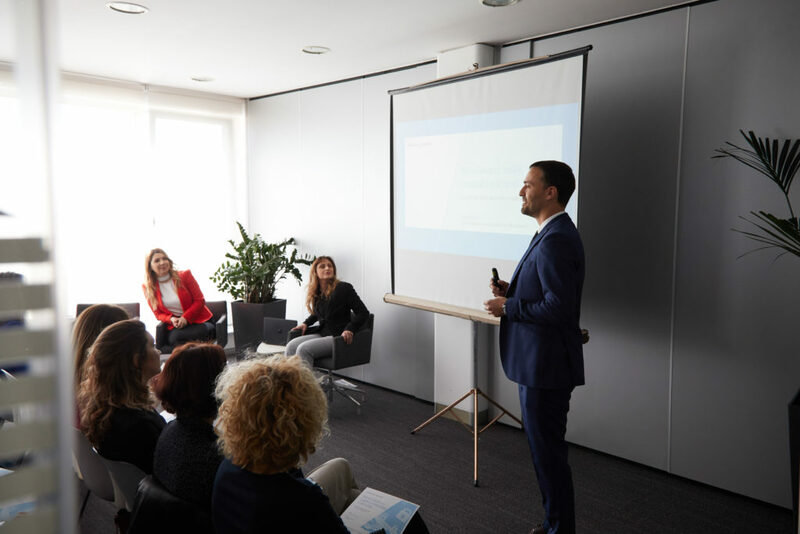 On 21 March, Karanovic & Partners held the “New Serbian Data Protection Law – Everything You Wanted to Know but Were Afraid to Ask” presentation at our Belgrade office. The event was attended by over 70 representatives from leading Serbian companies, as well as legal and HR professionals. Partner* Goran Radošević and Senior Associates* Sanja Spasenović and Milica Filipović, lawyers with extensive proficiency and experience in data protection matters in Serbia, presented the novelties and particularities foreseen by the new Serbian Data Protection Law and the GDPR. This new piece of legislation incorporates most of the solutions offered by GDPR, meaning that GDPR standards will become part of Serbian legislation in five months – and thus be applicable to all domestic companies. what measures need to be taken to harmonise business with the new rules and avoid sanctions. *Independent attorney at law, in cooperation with Karanović & Partners.